Where have those voices been all along? They claim they have been “bullied” into submission, which is patently false, as there’s been many opportunities for public input, and ample invitation from City Staff to comment. In this last ditch effort, their big goal is to reduce the number of animals allowed, and they’ve got the ear of at least one City Councilor, in Ward 6. Send an email or make a phone call to the ward councilors and/or mayor with your comments. Ward member info is here. A sample letter for you to sign is here. Show up at the meeting and express your support for allowing more urban agriculture, specifically the right to have 24, 36, or, on really huge lots, 48 chickens. More info on how the animal units would work is here. Meeting info is below. Share this blog post on Facebook or with specific friends, asking them to take action. Show up with a group, or find a team to join when you get there. It’s free and there’s no limit on team sizes, but keep in mind you’ll have to split whatever awesome prizes you might win amongst your team. Whether you like trivia or not, you can come early and mingle/catch up with all the folks in town who care about and are interested in food! Also, hear live music from Robert Mikesell (5-6pm) and Ted Warmbrand (8-9pm). It’ll be great fun for everyone! 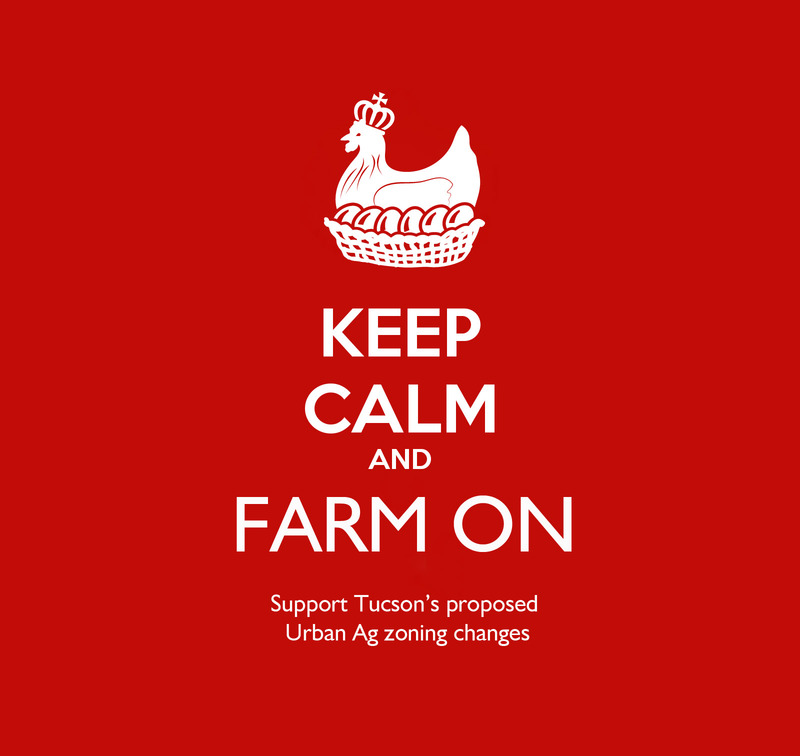 You may have heard that the City of Tucson is considering changes to the zoning code that would make it easier to practice urban agriculture. That means things like allowing people to raise more (and different kinds of) animals, making it easier to have a market or a community garden, and even just clarifying that you CAN grow food in your yard… Exciting, right? Unfortunately, not everyone thinks so. In a recent public meeting, one such resident spelled our her nightmare scenario, in which “Sustainable Sam” moves in next door and begins growing vegetables in his front yard, raising miniature goats in the back, and keeping rabbits indoors. Unfortunately, this resident (and 1-2 more) have become a vocal (and persuasive!) minority strongly influencing the debate. We’d like to suggest that Sustainable Sam would actually be a very good neighbor, and might even share his food! 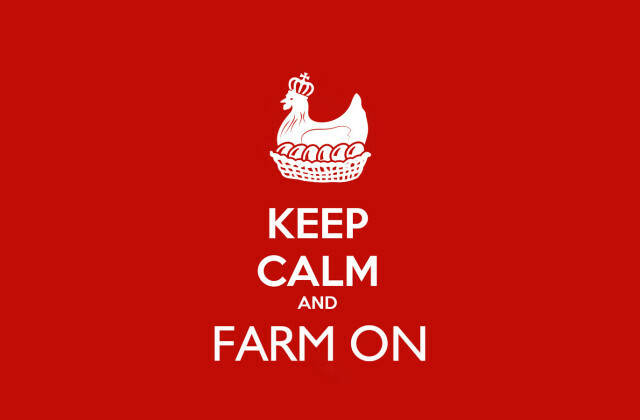 We created a calm hen graphic (above), but as cute as she is, she may not change the hearts and minds of the current opponents. Take a minute to SIGN our online petition and we’ll deliver it to both the Planning Commission and City Council. Encourage our Planning Commissioners to approve the urban ag amendments. You can download our letter of support and send it in to this physical address or email address. 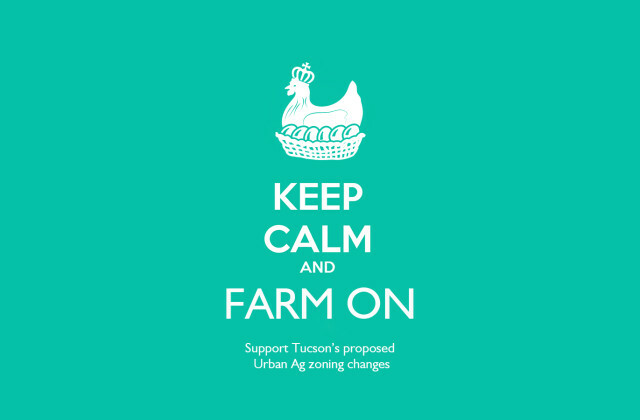 Join the Tucson CLUCKS Facebook page to link up with other like-minded people, browse their resource links, and geek out on urban agriculture. As our nation’s birthday draws near I find myself thinking about what food production has looked like in the past and the role it has played in our culture. More specifically, I’ve been thinking about victory gardens. Americans began planting these gardens during World War I in European nations that needed to dedicate as many resources as possible to the war effort. 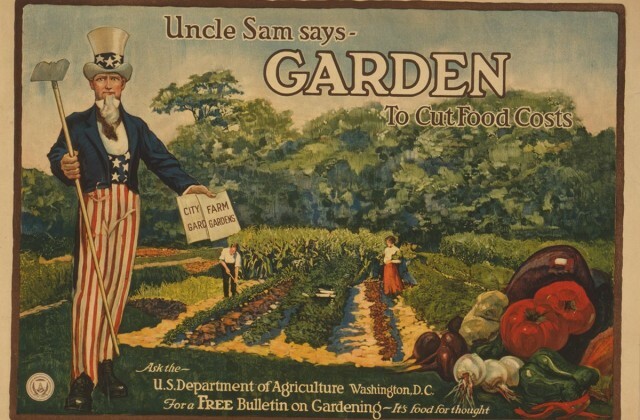 With slogans like, “Dig for Victory” and “The Seeds of Victory ensure the Fruits of Peace,” these gardens were pushed forth as a means by which people could lessen their demand on the nation’s food supply thus leaving greater resources for the troops. This was especially important in Europe where many people working in agriculture were conscripted into military service. We continued to see victory gardens through World War II with their numbers slowly trailing off in the subsequent decades. During wartime, these gardens were considered thrifty and patriotic, and a means by which to boost morale by giving people full control of their production and the benefits they reaped as a result of their labor. These days, in the United States, there are reputedly only 2 victory gardens left in operation. The Dowling Community Garden in Minneapolis got its start in the early 1920’s and the Fenway Victory Garden in Boston, which broke ground in 1941. These two gardens stand as living history of what our nation was capable of doing in times of great need. It bears mentioning too, the large garden that First Lady Michelle Obama had installed at the White House. While not a victory garden per se, it stands for many of the same functions and values. I began to wonder how my garden reflects those same values. Fortunately, we as a nation don’t have a major war to fight right now. But what victories do our gardens give us? For me, my garden gives me a small escape from long days. I get to come home from a hectic day at work and relish in the quiet tranquility of my crops, and happily imagine the delicious dishes I can make with them. Much like was originally intended, being able to grow what I want and need makes me incredibly happy. It boosts my morale. Gardens also make for great fun at parties when guests decide to perch on your straw bales and nibble at your chard, and they generate excitement about gardening. Friends and guests get to see what a garden looks like and just how much food comes out, and often inspiration ensues and they’re calling you two days later asking all kinds of questions. The victories that come from gardens are numerous. They give us food, they mitigate stress and liven social gatherings, and they give us some control over what we eat and where it comes from. 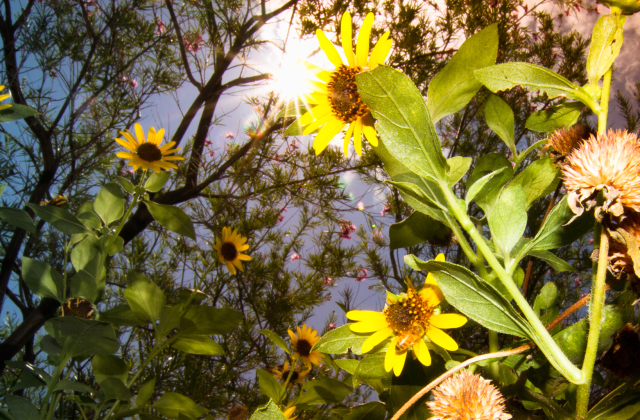 Gardens are a personal statement and these days, an ever-growing political one as well. The victories they afford us may not be as large as the victories of the past, but they provide important personal victories that may be small in scope but grand in meaning.